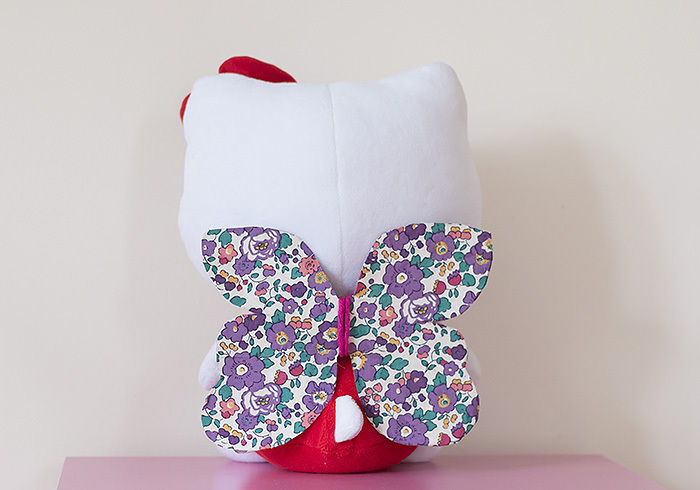 These DIY fairy wings for toys are a great craft for using up old cardboard. Yesterday we’d been finishing off one of our crafts from the previous day but it hadn’t taken very long so my little girl asked to do something else. 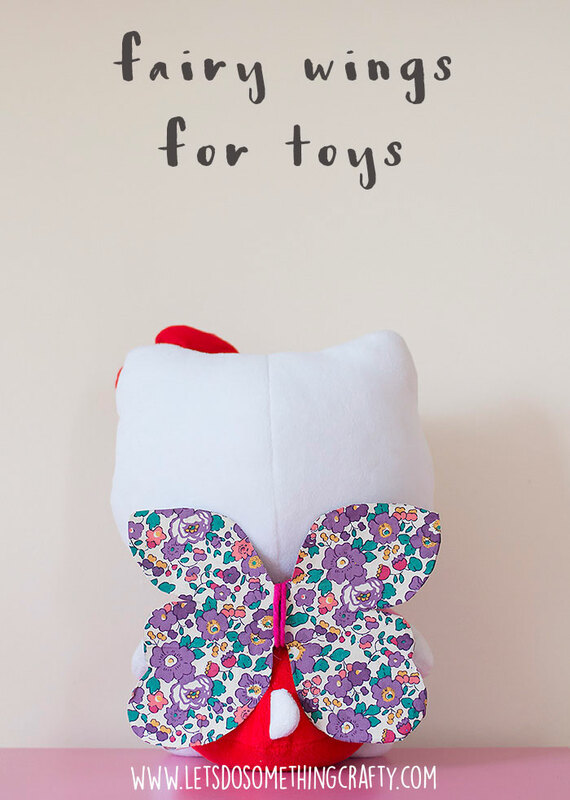 She’s been obsessed with wearing fairy wings this week and she loves for her toys to look the same as her so when I saw all our empty cereal boxes on the side I came up with the idea of making some wings for her favourite toys, Noddy and Hello Kitty. When we do crafts together I quite often let her make a more child friendly version while I do something a bit different so after setting her up with paint I decided to cover mine in some old scraps of material I had lying around. 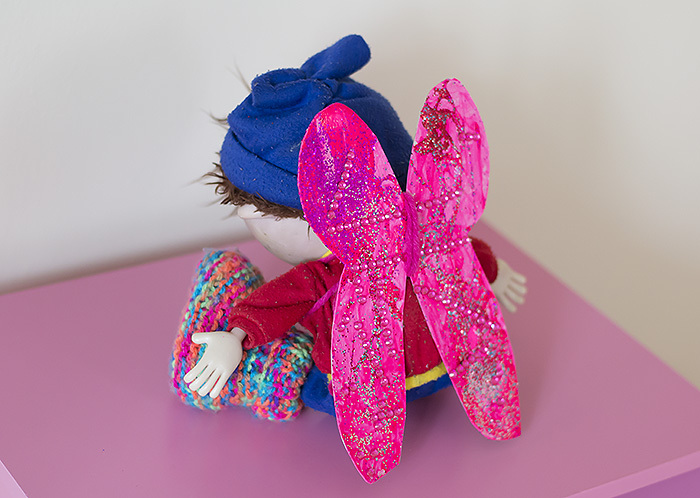 When we had decorated our fairy wings I just used yarn to tie them to the toys and that was it. They were so quick and easy to make. 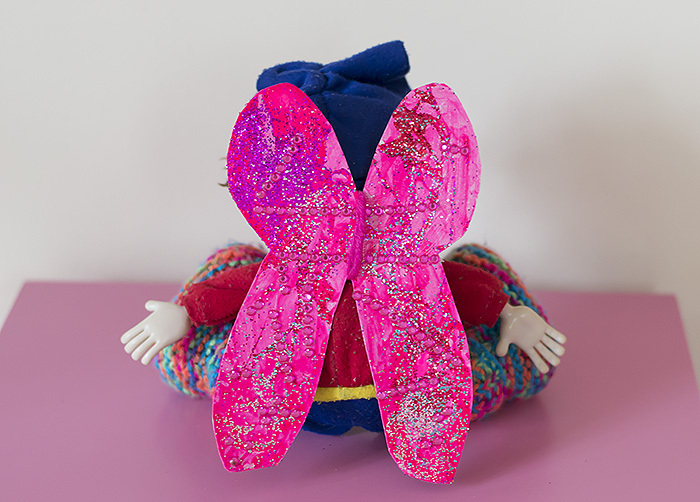 Cherry was in charge of making Noddy’s fairy wings. I love the way kids like to look after their toys and dress them up in the same way. Noddy has been Cherry’s favourite for over a year now and he goes everywhere with her. After Tiger was born he even had to wear a nappy and she would change it at the same time as me. And if you like fairy themed crafts then do check out my wands.